The Ricketts Art Foundation has been working hard with The Buffalo Bill Center of The West and the Museum of the Mountain Man to create the world’s largest online catalogue for Alfred Jacob Miller’s artwork. Recently I was expressing my frustration to a friend about how environmentalists have hijacked the policy discussion around environmental issues and driven it in the wrong direction. January 8 will be a great day for the people of my native Nebraska, but it will be even more special for the Ricketts family. One of the great things about life in Wyoming’s Upper Hoback Valley is the amazing variety of wildlife we have as neighbors. 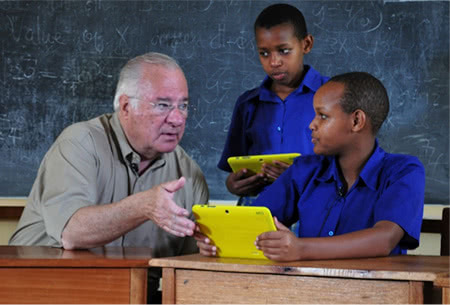 In May 2013, I blogged about the tablet computer program that Opportunity Education Foundation would be piloting in Tanzania.